Bollywood industry's filmmaker Rajkumar Hirani's next directorial venture the Sanjay Dutt Biopic is undoubtedly one of the most awaited films. The film made its way on the headlines ever since its announcement and left everyone hooked to it. 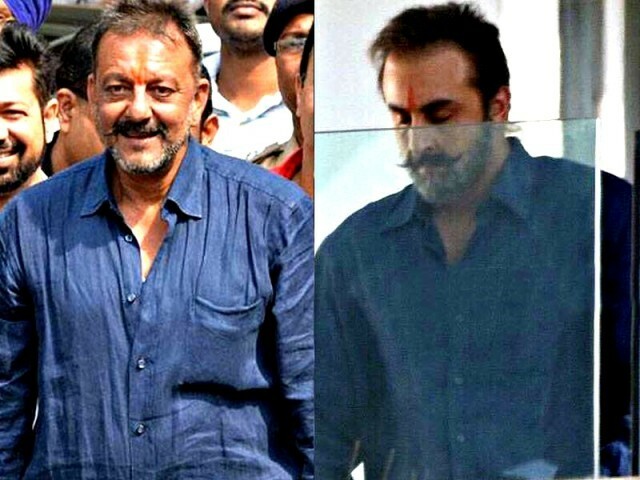 What added to all the anticipation was Ranbir Kapoor's extreme body transformation which resulted into this uncanny resemblance between Kapoor and Sanjay Dutt. Though all this while, film's name was not confirmed and everyone made their guesses and rumors had their way down too. Meanwhile as per the latest reports, the Dutt Biopic has finally been titled "Sanju". As we all know, Sanjay Dutt is fondly called Sanju by his fans and close industry friends which is why this titled has apparently been chosen. Currently reports also suggest that Ranbir has almost finished major part of the shooting for the film and is left with just one song to be shot. Earlier when Ranbir was asked about his experience on working on this biopic film and playing Sanjay Dutt on screen, the actor told, "He is really keeping his fingers crossed for Sanjay Dutt biopic, it was an altogether different experience shooting for the film".